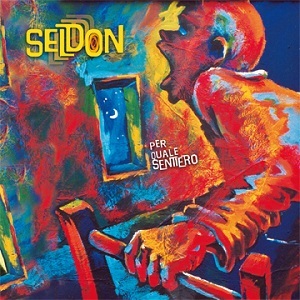 A few days ago I have received a very interesting album from Italian band – SELDON. They are from Florence and started out its career in 2008 year. With actual one, they have released 3 albums, and last one they have released in last days of December 2018, entitled “Per Quale Sentiero”. In the world of progressive music is very-well known that Italy during the decades had and has many interesting acts, in the late 70’s, one was very popular, and older progressive freaks, has been informed about the status of mighty PFM. Italians taking their name from Hari Seldon, a character from Isaac Asimov’s “Foundation” series, and generally its music has many science-fiction idioms and influences as well. Even that some worldwide reviewers mentioned that the Italians in presented music from the album taken influences from jazz, I’m not sure that the truth is on the mentioned side. Seldon’s music is melodic, vivid, full of interesting uptempo changes . All of 7 presented tracks combine classic prog with progressive rock idioms, with also 70’s stylish approach too. Key person in band is author, keyborder and singer Marco Baroncini, but the other musicians also did their job in best possible way. “Per Quale Sentiero” is album worth listeners attention, especially if you also prefer older tendencies from progressive spheres.